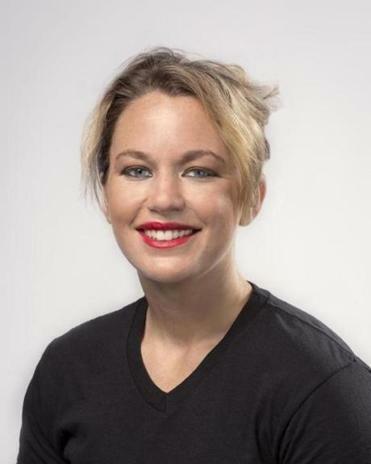 Champion bike racer Louise Forsley used to think of herself as “one of the guys.” But that was before she was a superwoman. 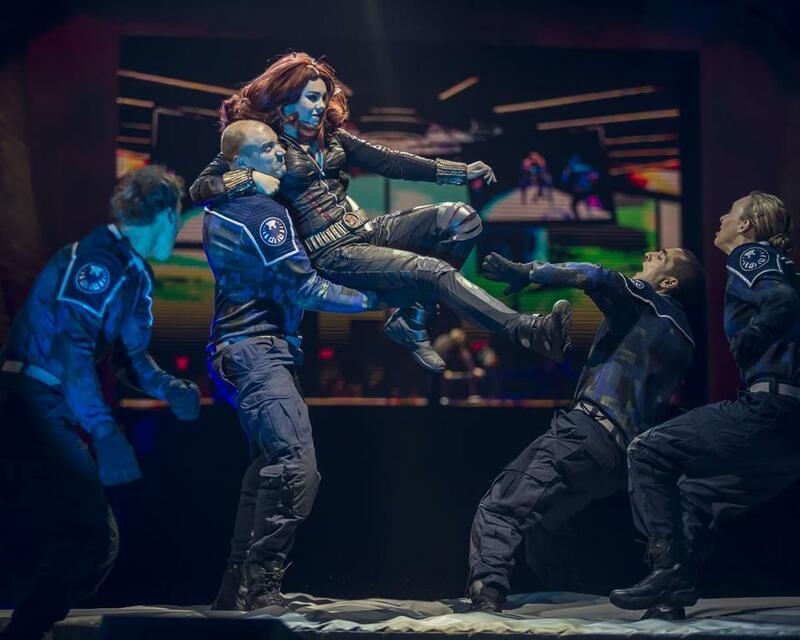 The 27-year-old Bernardston native returns to her home state as the Black Widow for “Marvel Universe Live!,” running Thursday through Sunday at the DCU Center in Worcester. The arena performance features Spider-Man, the Avengers, Wolverine, Green Goblin, Aldrich Killian, and others. Forsley will exhibit her biking and acting skills through motorcycle stunts, as well as in fight scenes, on and off bike. The daredevil cast of bikers, gymnasts, aerial stuntmen, and martial artists combine athletics and the arts in car chases, high-speed flying, and even pyrotechnic effects. A silver medalist in the 2012 X Games, Forsley has found a way to turn her passion for riding into a performing career. We caught up with Forsley by phone while she was finishing up the show’s tour in Canada, and anticipating her return home. Q. How did you first get into racing? A. I started riding dirt bikes when I was 7, and my dad was into the motorcycle sport called trails, and when I turned 13 I just kind of started. I tried it a few times with my dad, and then we both just liked going to competitions, and I seemed to be a natural at it. I started riding all the time, and I set goals for myself. It’s just what I always wanted to do, either go to competitions or race. I just always wanted to be on a bike. Q. You must get injured sometimes. Do you ever worry about that with your career? A. My last year, before I started this job I broke my leg first, and it took a few months to let that heal, and then I was back riding for a month. It was my first race back, and I broke my collarbone. So after that it was basically a full year of being injured and I wasn’t really making any money. It is a very difficult part of the sport, so once I heard about this job, I was kind of eager to start something different, to find a career that still involved riding, but wasn’t as risky as racing. Bernardston native Louise Forsley of Marvel Universe Live! Q. Have you ever participated in any kind of theatrical performance before? A. No, I haven’t. I was always just either on my dirt bike when I was younger, or working outdoors at something, so this is completely new for me. When we went through rehearsals, for three months they had to teach me how to act like the Black Widow, get into character, and be more feminine, and learn more about my character, so this is completely new. Q. What is it you like about the combination of sports and theater? A. It is very fun, performing in front of so many people. These are very large crowds, most of the time the arenas are packed, so it’s really fun being able to show what I can do on a motorcycle. But then also being the Black Widow, a Marvel superhero, is so awesome. The Black Widow, she’s such a badass woman that can conquer so many things, and the fact that I can be out there on a motorcycle, just adding that into the character, is awesome. Q. Female superheroes can be really empowering roles for women to step into. Do you feel like you’ve grown personally at all, being able to embody the Black Widow? A. Oh yeah, totally. I feel like before getting this job, I was just like “Oh, I’m just one of the guys.” And you know, I’d never been able to really experience the feminine side of it. [The Black Widow] can do amazing things, but she’s a very pretty, feminine woman at the same time. It’s very cool. Now that I know how to put on my makeup and choose cuter outfits to wear, I’m a little more comfortable in my skin, and it feels good to have that confidence in myself. Q. Now that you’re back in your home state, it should be nice to see some familiar faces. A. Yeah, it’s going to be awesome. I’m going to go back to my parents’ house for a few days before the show, so I’ll get to hang out with my family. Since I got this job, I’ve just been out of state and traveling and gone a lot. Q. Since you got into performing using your biking skills, is there anything you want to do more of in the future? A. Definitely. I know that the next thing I’d like to do is motorcycle stunts, whether it be for commercials or movies, so that’s my next plan.